Selling or purchasing land? We've rounded up the most important terms you'll need to know for conveyancing. Not everyone needs to be an expert on property law. To help you through your conveyancing process, we've created a comprehensive glossary of common or confusing conveyancing terms. If you have any questions about conveyancing and the services we provide, contact us today. When the sale of a property is conducted in public and the property in question is sold to the highest bidder. A method used to calculate how the outgoings for a property will be divided between the seller and buyer. This process ensures both parties only pay the outgoings for the time periods they are in possession of the property. A legal claim lodged by a person with an interest in the property. This claim prevents the transfer of title for the property in question until the claim has been determined. A legal document that outlines details of the property owner and anything else that may affect the property such as a covenant, mortgage, a restriction or easement. A written agreement between the buyer and seller of a property that outlines the terms and conditions of the sale, inclusions, price, descriptions of the property and completion date. A licensed professional who can give advice and prepare documents for the transfer of property ownership. A period of three business days which commences from the date when an exchange of contracts has taken place between the purchaser and the buyer of the property. During this time, the purchaser can choose to walk away from the contract without getting a financial penalty. A notation featured on a title deed that imposes conditions or restrictions for the property and an obligation to terms. A percentage of the purchase price for the property being sold. This amount of money is paid by the purchaser as an assurance that they are going ahead with the purchase of the property in question. This amount is usually held by the estate agent until all paperwork for the purchase of the property has been signed. A right to use and access part of land on the property. This right can belong to someone who is not the landowner. An easement is typically used when access is required for wires and pipes for maintenance to sewage, drainage and electricity. An easement can also refer to shared driveways and paths on a property. Refers to the fact that there's a mortgage or caveat registered for the property title. The moment when the Agreement for sale has become binding for both parties. During this time, two identical contracts are signed, dated, and exchanged and the deposit is paid. Prior to settlement, the purchaser is entitled to one final inspection of the property they are about to purchase. A list of items on a property that are either included or excluded from the sale of it. Both must be listed in the contract to communicate exactly what is included in the sale of the property when the transfer of ownership is finalised. A person/entity that is receiving the loan. A person/entity that is lending money. One example of an entity could be a bank. A right is given to a purchaser allowing them to move in with their possessions in before settlement for the property has taken place. This must be granted by the Vendor(home owner). Rent can be charged during this period of time. A person or entity who is granting a licence. A person or entity receiving a licence. An amount of money that is loaned to a person or entity that's not secured by a mortgage or right to the property in question. When a property is purchased off the plan, the purchaser has agreed to buy the property after seeing the plans but before the property in question has actually been built. An amount of money loaned to a person or entity that is used to define the purchase of a property. This will be registered on the title to the property and can be used to claim a legal interest in the property purchased. The person or entity who receives the mortgage. The person or entity who provides the mortgage. An amount charged by the vendor when payment on a settlement is delayed. This amount can also be charged when a purchaser cannot meet a payment deadline set out by the contract. Permission from a government authority to modify a property. This modification could include adding a building extension or removing a large tree. One example of a government authority is your local council. The preliminary approval of a loan for a house that is issued by a lender before a property has been purchased. The difference between purchase price of property and deposit paid. A restriction placed on the title of the property to which the owner is legally bound to. This could include building in accordance with certain design guidelines, building materials or planting a certain species of tree. The completion of a sale where the purchaser pays the balance of money remaining for the purchase of a property. The vendor will give possession of the property along with the title deed to the purchaser after this final transaction has occurred. Extra clauses or conditions included in a contract for the sale of land. Examples of these include pet approval by body corporate or buyer's right to access the property prior to settlement for carrying out renovations. 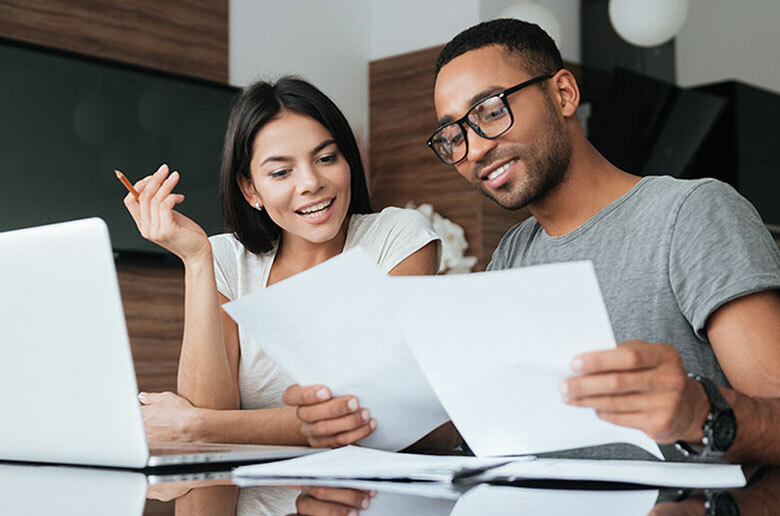 A document that includes all the adjustments of certain costs such as taxes, rates, water, rent, and how they are divided up between the purchaser and the vendor. Until settlement, the vendor must pay all expenses pertaining to the property. These expenses transfer over to the new owner of the property upon completion of the settlement. The process of dividing one piece of land into different lots. This is a common practice among buyers who wish to buy land with the intention of building multiple houses or units on it. A contract clause that states the purchaser of the property in question has to obtain finance for a set amount by a certain date. Failure to do so releases them from the buyer's contract without a financial penalty. A document that authorises the early release of a deposit. This deposit is usually held by the real estate agent. Also referred to as a vendor's statement, this document must be prepared and signed by the vendor before a property is sold. A section 32 is given to a purchaser before acquiring the property. This statement features all required information that is set out in section 32 of the Sale of Land Act 1962. This information may include building permits, a copy of the title and plan to the house, and whether or not there is an easement on the land. This document must be given to the Title’s Office to put into effect the Transfer of Land. A document that shows details of a property title and the change of ownership between one person or entity to another. A term used to describe a property that is free of charges, covenants, mortgages, restrictions and caveats. An individual or entity that is buying land. A document stating the property you are purchasing is the property you will live in. An individual or entity selling land. A classification that outlines the use of land and the buildings situated on it. This classification may include whether or not the buildings are industrial or residential and specifies how the zones of the land can be used. Conveyancing.com can help you reduce the time and effort in your conveyancing needs. 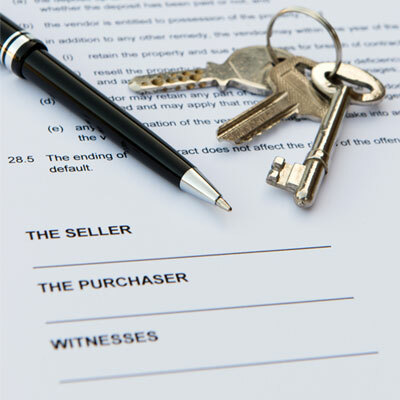 You can be confident that our team of qualified conveyancing lawyers will ensure the best outcome. If you'd like to find out more about our conveyancing services, contact us today.